The Playmaking Festival – Launceston College and its associate schools perform to a sell-out audience in Stratford Upon Avon. 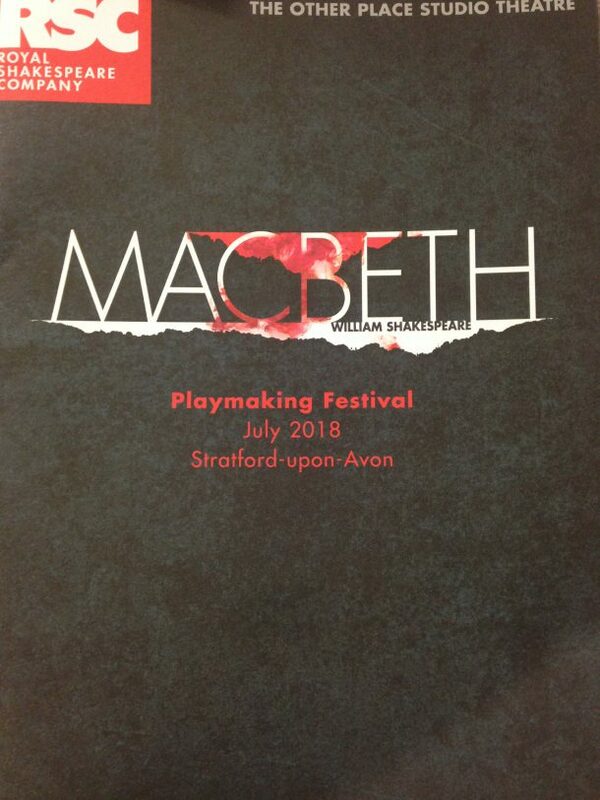 On the 10th July 2018 students from Launceston College, along with students from St Stephens Primary School, Egloskerry Primary School and South Petherwin Primary School headed to Stratford Upon Avon to perform in the annual Playmaking Festival run by the famous Royal Shakespeare Company. The team of students, built around Launceston College’s RSC Associate School Programme, was performing a 15minute piece inspired by the character of Lady Macbeth from Shakespeare’s famous play Macbeth. The performance comes off the back of the successful interpretation of Macbeth performed at Dingles and all students worked closely and intensely with an RSC Director who visited Launceston for two days to help shape the performance. The students performed to a sell-out crowd at the famous The Other Place theatre and wowed with their professionalism, passion and creativity. They performed as part of a week long festival which saw selected schools from up and down the country take to the stage and it was incredible to be the only Cornish Ensemble to be selected. It was a wonderful, collaborative performance, seeing students from year 2 to Sixth form come together and celebrate their love of Shakespeare and demonstrate their dramatic skills and building of self-confidence. Well done to all involved.